If you are looking for information on the Celluphone franchise business opportunity, Celluphone franchises or Celluphone franchising, then you have come to the right place. 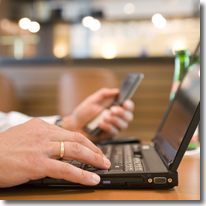 Untapped Opportunity in the Wireless Retail Business! Celluphone is looking for aspiring business owners to join the dynamic wireless industry as an authorized retailer selling Verizon Wireless products and services. This is not a franchise, so there are no fees -- ever. In fact, your location may be eligible for market development funding to help cover some of your start up costs. As we continue to expand we are looking for intelligent, hardworking individuals who are focused on building a successful business. If you have the drive to succeed, the passion to serve customers and the desire to own a retail business, then this may be the opportunity for you. Travel centers throughout the nation provide a wide variety of products and services to a loyal base of customers. This very large and growing segment has an even greater need for wireless products and access to a quality nationwide wireless network due to the nature of their profession. Yet, until now, these customers have largely been ignored in the places they frequent most, travel centers. That is great news! This means that you have an opportunity to serve this community, often with very little competition for wireless services at your point of sale. We have a relationship with Verizon Wireless that allows you to offer customers access to the nation's largest and most reliable 3G network. Verizon Wireless has an unparalleled reputation for quality products and services as well as outstanding customer service. You will also be a part of a network of wireless retailers, all independently owned and operated, who are focused on serving a specific and underserved customer niche with unique needs and benefits. You will get the support of Celluphone, an organization with 27 years of wireless experience and more than 100 employees dedicated to your success. But, you'll also have the flexibility and freedom to run your own business. Previous wireless experience is not required. Accessory sales - Expected to grow 38% to $80 billion in the next couple of years (Source: ABI Research). Smartphones - Expected to double their market share within the next few years (Source: Wireless Week). Mobile Internet - The number of U.S. mobile broadband subscribers will more than triple to more than 140 million subscribers within 2 years (Source: Parks and Associates). Photos & Videos - Over 2.1 billion photo and video messages were sent on the Verizon network in Q1 of 2009 (Source: Verizon Wireless). Texting - 127 Billion text messages were sent over the Verizon network in Q1 of 2009 (Source: Verizon Wireless). 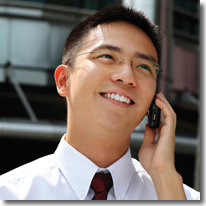 Replacing landlines - One in five households are "wireless only" (Source: USA Today). Best network - Verizon Wireless has the largest and most reliable 3G Network in the country, and they are rapidly deploying a revolutionary 4G network. Best value - Verizon customers switch carriers at the lowest rate in the industry. In part, because they are paying low rates for the best network with some of the most innovative products and services. Now that's value! Best brand - Not only is Verizon Wireless one of the most recognizable brands in the world, their name is synonymous with quality products and wireless service. Verizon also consistently wins awards for the best customer service in the industry. Best future - Having the best network, providing the best value and maintaining the industry's best brand makes for an incredibly bright future. And you can be a part of it!